This is an amazing effect inspired by Robert-Houdin. 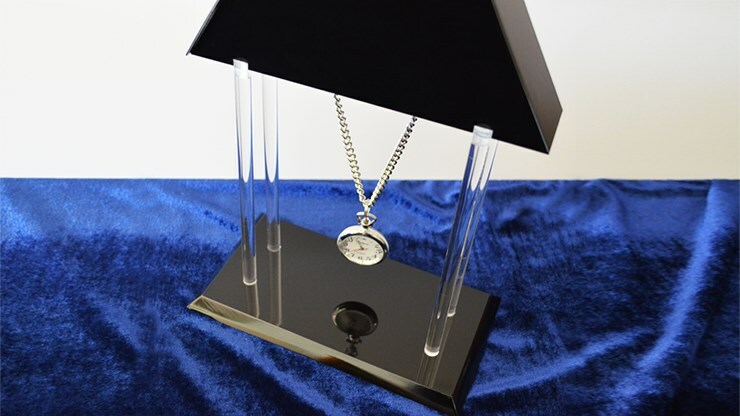 A pyramid-shaped watch-holder is shown. 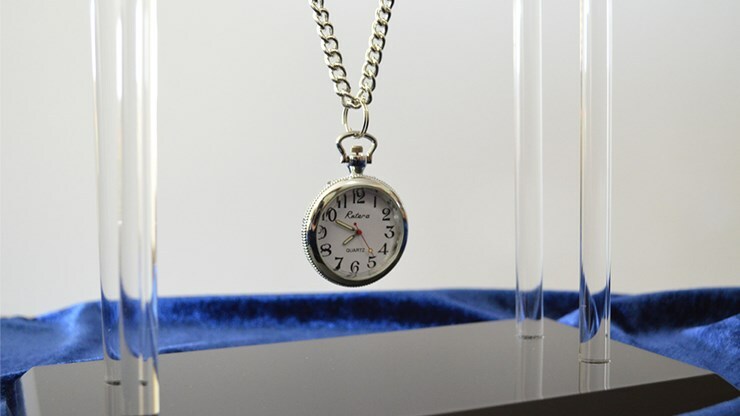 In the middle hangs a chain to which a pocket watch is attached. The magician removed the watch from the chain and makes it disappear with a manipulation or with a handkerchief (not supplies). 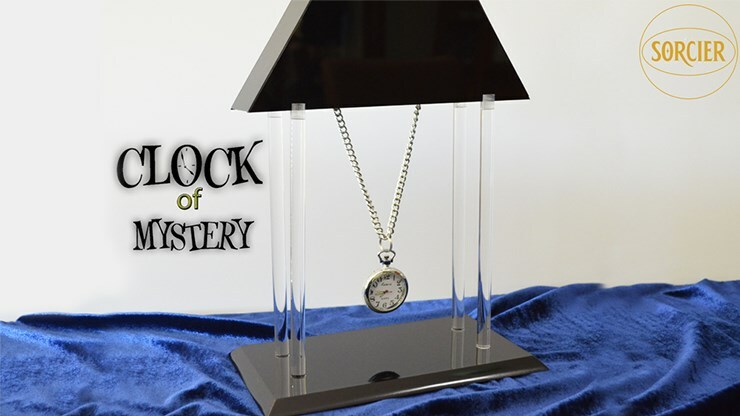 With a gesture, the clock magically reappears attached to the chain in precisely the same place it was in previously! It is completely removable and measures very little space. 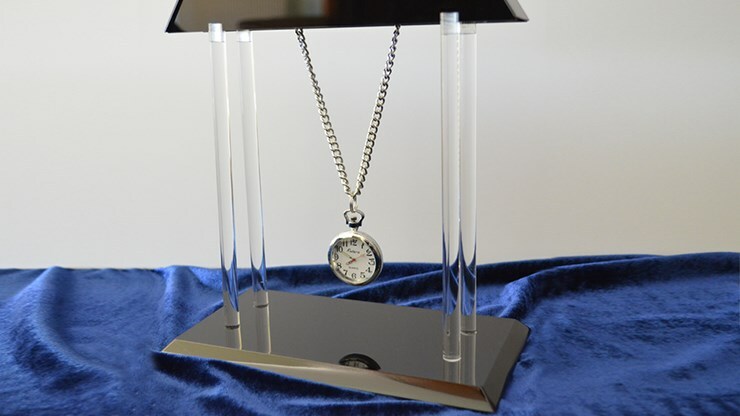 When mounted, it has a height of 29 centimeters for 22 of width. This incredible device utilizes a remote control. Made entirely of high quality plastic. Two identical watches are included. Looks incredible! Audiences are stunned!